PFS Investments Inc. (CRD#: 10111, Duluth, Georgia) is both an investment adviser firm regulated by the Securities and Exchange Commission (“SEC”) and brokerage firm regulated by the Financial Industry Regulatory Authority (“FINRA”). Currently, on FINRA BrokerCheck, the firm discloses seventeen regulatory events and two arbitrations. Those disclosures concern the firm’s alleged regulatory infractions and liability for sales practice violations against customers. But did you know that there are many more PFS Investments Inc. disclosures concerning brokers’ sales practice violations and misconduct on the job? For example, take a look at the disclosures about Joshua Johner, Stephen Hendy and Scott Nordblom. Joshua Shane Johner (CRD#: 4760065, Colorado Springs, Colorado) is a securities representative of PFS Investments Inc. Apparently, Joshua Johner’s FINRA BrokerCheck Report shows that his customer filed an investment dispute on February 16, 2017. Mainly, the PFS Investments Inc. customer alleged that Joshua Johner made misrepresentations concerning fixed annuity features. Allegedly, the customer purchased that product in November 2015 based on the information Joshua Johner misrepresented. All things considered, PFS Investments Inc. figured it was best to settle the customer’s claim. Accordingly, on March 15, 2017, the firm agreed to pay $13,747.44 to resolve the allegations of misrepresentation. As of April 20, 2004, Joshua Johner has been working at PFS Investments’ Colorado Springs location. Stephen Boyd Hendy (CRD#: 3150129, Burbank, California) is presently a PFS Investments Inc. securities representative. Apparently, he has been with the brokerage firm’s Burbank California offices on and off since January 30, 2003. Notably, Stephen Hendy discloses on FINRA BrokerCheck that at least one of his customers claimed Stephen Hendy committed serious misconduct. Specifically, on April 7, 2017, the estate of the customer filed a complaint with PFS Investments Inc. claiming Stephen Hendy misappropriated funds from the customer’s estate. Stephen Hendy’s supposed misappropriation apparently relates to the customer’s mutual fund investments. Because of this, the customer’s estate requested compensation of an unspecified amount; however, the firm believes it is more than $5,000.00. Evidently, Stephen Hendy is both a broker and a variable contracts principal. Scott Nordblom (CRD#: 2236507, Mansfield, Texas) is a broker of PFS Investments Inc. He has been employed with the firm since October 27, 1992. Apparently, on May 11, 2017, a PFS Investments Inc. customer field a complaint with the firm. 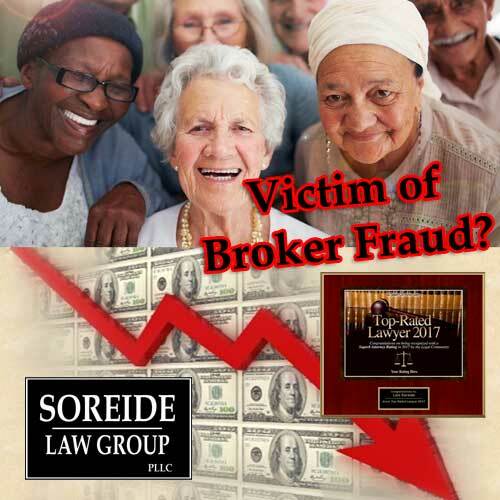 Allegedly, Scott Nordblom, or someone under his supervision, sold the customer a variable annuity without explaining how those products worked. The customer indicated that the representative made misrepresentations or omissions in regard to contracts. Apparently, the customer would not have purchased the product knowing the withheld or inaccurately stated information. Eventually, PFS Investments Inc. settled the customer’s claim on May 11, 2017 by paying the customer $21,936.11. 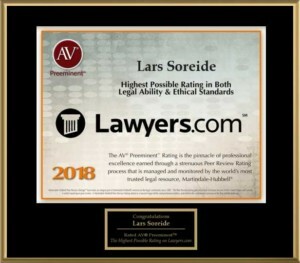 If you have experienced losses by investing with PFS Investments Inc. brokers including Joshua Johner, Stephen Hendy or Scott Nordblom, contact Soreide Law Group at (888) 760-6552 and speak with experienced counsel about a possible recovery of your investment losses. Our firm has recovered millions of dollars for investors who have suffered losses due to broker and brokerage firm misconduct. We represent clients on a contingency fee basis and advance all costs.